Several router models from D-Link are vulnerable to three security bugs that could help an attacker get full control over them. Taken separately, the vulnerabilities are a path traversal, securing passwords in plain text and shell command execution; but by chaining them together an attacker could run a code of their own on the devices. 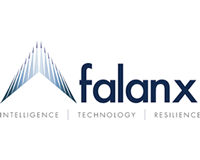 Falanx Group Limited (LON:FLX), is a global intelligence and cyber defence provider working with blue chip and government clients. It operates the MidGARD cyber monitoring platform for corporate and governmental customers which utilises a combination of proprietary and third-party processes and technologies. Previous: Male Breast cancer:What are the signs and how to check?